Former BBC News chief political correspondent Laura Kuenssberg began her new role as ITV business editor today. Kuenssberg built up quite a Twitter following during her time at the BBC, around 67,000 people, due in no small part to her coverage of last year’s general election saga. In the wake of the announcement of her move to ITV there was, in her own words, “frenzied conversation” about what would happen to her Twitter account. It was, after all, a professional account, it had BBC in the name. So who did the followers belong to? In the end, the agreement with the BBC was “entirely amicable”, according to Kuenssberg, and she transferred her account and followers to @ITVLauraK. Given my belief that those who tweet have minds of their own, the clamour over what would happen to @BBCLauraK, the corporation’s first official journalist Twitter stream, took me rather by surprise. But, more importantly, what the fuss did demonstrate was how central online reporting has become to the work of journalists. No doubt, having started tweeting as an experiment two years ago during the party conference season, it became almost as important to me to break stories on Twitter as it did to get them on air on the BBC’s rolling news channel. This entry was posted in Broadcasting, Social media and blogging and tagged BBC, ITV, laura kuenssberg, Political Correspondent, social media, Twitter on September 1, 2011 by Joel Gunter. Yesterday morning our editor Deborah Turness decided that the point had been reached when we should step back from covering the story in Cumbria on the national news. She asked that we now only report on the funerals with a short update – a picture of the person who lost their life and a couple of images of the funeral. A good explanation of balancing a need for news with sensitivity – and a great example of how a journalist can use a blog to explain these company-wide decisions to viewers. This entry was posted in Editors' pick, Journalism and tagged Broadcasting, cumbria, cumbria shootings, ITV, Keir Simmons on June 15, 2010 by Laura Oliver. Will the leader’s election debates engage first time voters? Elizabeth Davies is a freelance journalist and recent graduate of Emmanuel College, Cambridge. She reviews the first of the Leaders’ Debates and asks: can the format engage young, first time voters? This post is also featured on her blog. The BBC grandiosely declared Thursday 15 May to be “the day the skies went quiet”. It was not, unfortunately, because the entire population was glued to ITV’s broadcast of the first of the Leaders’ Debates. It was because a great plume of plane-endangering volcanic ash was infiltrating our airspace, just at a time when news organisations were doing their best to provide audiences with nothing but wall-to-wall debate ‘preview’ pieces. I was not glued to my television, but only because I don’t have one. Like a significant fraction of the population – a fraction dominated by young first-time voters like myself – I chose to watch the debate online. Unfortunately the quality of ITV’s live stream made it difficult to remain captivated for long. It’s one thing to engage with social media to encourage meaningful online discussion, but quite another to slap so many cursory widgets on the page that no-one is able to load anything. I’m not a great case study for a first-time voter, merely because I am such a political geek that I watched all of the US presidential primary debates live online back in those days before anyone had heard of Sarah Palin. That does, however, make me something of an expert in pre-election debates. Last month, following BBC Three’s First Time Voters’ Question Time, I suggested that the Leaders’ Debates were the kind of media spectacle needed to engage young voters in the political process. On that front, ITV failed spectacularly. Alastair Stewart was a poor choice of moderator, too little known among the country’s young voters to really fire them up. The studio, along with David Cameron, looked like it would drag us back to the 1980s, and the directing suggested one of the cameramen was frequently having a kind of spasm. Those visual things matter, superficial as they are, because they make the difference in the split second that someone decides to check out what’s happening rather than flicking over to a Friends re-run. That difference is particularly pronounced when you’re trying to engage those who’ve never had the opportunity to vote before; those who are registered in record low numbers and who might proudly attest to not being interested in politics because it’s boring. Aside from the lack of glamour, the format was a failure. The questions selected for the debate were insipid, formulaic and, frankly, boring. David Cameron told ITN that he worried the debates would be “slow and sluggish”. Never one to fail to deliver on a promise, Cameron himself ensured the debate was both slow and sluggish by displaying almost no personality whatsoever. Gordon Brown performed much better than I expected, but Ipsos Mori’s ‘worm’ showed dial groups just don’t warm to what he’s saying. It was Nick Clegg’s debate, and the snap polls seem to back that up. He came across largely as a normal human being – impassioned, but not in a fake politician-type way, and as someone whose own frustrations with the current political situation reflected those of the electorate. It is plausible that a significant number of voters who claimed previously to be “undecided” will now be telling the pollsters they’re climbing into the Lib Dem camp. But if the remaining debates are similar to the first, how many of those will be 18 to 25 year olds? This entry was posted in Broadcasting, Events and tagged David Cameron, general election, Gordon Brown, ITV, leaders' debates, Nick Clegg on April 16, 2010 by Elizabeth Davies. We’ll see. But if he prefers fast-paced and high pressure television, why has he refused to appear on a Panorama Special – an election tradition – with Jeremy Paxman? This entry was posted in Broadcasting and tagged David Cameron, ITV, Jeremy Paxman, Politics on April 15, 2010 by Judith Townend. Attempts to rush through plans for Independently Funded News Consortia (IFNC) to replace regional news provision by ITV ahead of the general election on 6 May have failed. The winning bids for the IFNC pilots in Tyne Tees/Border region, Scotland and Wales were announced on 25 March, but contracts for the scheme will not be signed before the election date, a spokeswoman for the Department for Culture, Media and Sport confirmed to the Guardian. Those involved will now have to hope for a Labour victory on polling day as the Conservative party has said it will scrap the IFNC plans. 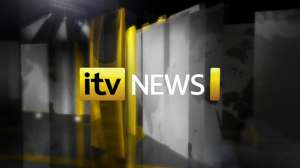 This entry was posted in Editors' pick, Local media and tagged general election, IFNC, IFNCs, independently funded news consortia, ITV, local tv, uk election, ukelection on April 8, 2010 by Laura Oliver. Newcastle University will this month hold the first in a series of seminars exploring ethnic diversity in the news industry workforce. The seminar Widening Ethnic Diversity in the News Industry Workforce: Towards Solutions will coincide with the launch of the Independently Funded News Consortia (IFNC) pilot schemes; an initiative in which interested parties are invited to bid to produce local content to replace the ITV regional news network. Newspaper and broadcasting companies, independent producers and universities have formed Independently Financed News Consortia (IFNCs) to bid for around £21m to run three multi-platform pilot news services in Wales, Scotland and the Tyne Tees and Borders region. But the news industry as a whole has a poor record of reflecting in its workforce the cultural and ethnic diversity of British society – and minority communities are entitled to expect changes if they are sharing the costs of this project. Speakers at the event on 20 January at Newcastle University include International Federation of Journalists president Jim Boumelha and Bob Satchwell of the Society of Editors. The two-year series of seminars, funded by the Economic and Social Research Council, will take place at six universities across England and Wales. This entry was posted in Events and tagged IFNC, independently funded news consortia, ITV, Journalism, Newcastle University on January 6, 2010 by Ellie Moss.